This week Norma Jean and I are in Miami where I’m preaching in a meeting for the Carol City church. This congregation was served for 38 years by the well known and highly respected African-American evangelist F. O. White. A number of bro White’s relatives are still members of this congregation including his daughter, Gwen and her husband Donald Jackson who was trained by brother White and now serves as the preacher. 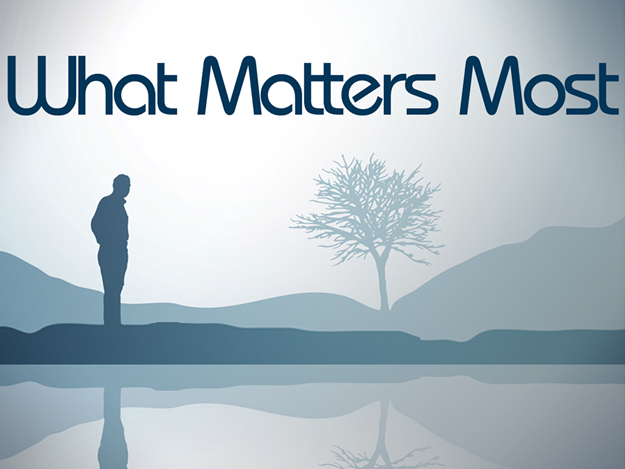 My series this week is entitled “What Matters Most.” Obviously, all of God’s Word matters. Its entirely is Truth. And all of it is important. Yet, Jesus even taught that there are “weightier matters” (Matt 23:23). The Bible also teaches the importance of priorities. Some things just need to take precedence over others. In a week’s meeting there are a limited number of topics you can cover. What matters most? These are the eight that I have chosen to preach on this week. Discipleship Matters: Who will Follow Jesus? Eternity Matters: What Matters to You? In the past four years we have written on all of these areas. So, I will leave it to you, the reader, to reflect on the value of these important matters. Or maybe you would like to click one of the links for further study. However, as I reflect on this concept of “what matters most” I thought of several others things I just want to bullet that matter more than others. This week I am reminded (again) that relationships in the Lord matter more than racial differences. The heart and faithfulness of a church matter more than its size, location or its beautiful building. A few people standing firmly for Truth can make more of a difference than many who are apathetic and uncommitted. What is right matters more than who is right. People are more important than possessions. Being in favor with God matters more than being honored by men. Biblical Truth is more important than political correctness. Citizenship in the Kingdom of God matters more than citizenship in any earthy Kingdom, including the United States of America. Following God’s faithbook matters more than my posts on facebook. Belonging to God’s elect matters more than any political election. Character matters more than reputation. Spiritual riches are more important than material treasures. Embracing the pure religion of Christ matters more than allegiance to a political party. Faith in the power and providence of God matters more than my devotion to a political candidate. The Gospel of Christ matters more than the constitution of the United States of America. The spiritual relationship with my brethren matters more than any social or political relationship on earth. The destiny of my soul matters more than the future of my country. What matters most? To you? This is an excellent article. We enjoy your articles every day and appreciate your work.